MIT invites the DBC to participate in this event critical for anyone serious about securing their personal and professional future. Would you like to become more successful than you are? Or, are you smart but stuck? Or, are you less successful in business and life than you think you should be? The typical perspective of most people is to try and acquire additional knowledge, credentials or skills. Most people try to emulate the ‘winners’ and some spend a lifetime playing catchup – acquiring knowledge, credentials or skills - and fail to achieve the success they expected to achieve. Our speaker, an MIT alumnus, 4-time entrepreneur and former VC, found a contrarian approach and quicker path to greater success (and fewer failures). He found that most of us are held back or tripped up by some of the ‘silent killers of success’. The ‘silent killers of success’ can be managed or eliminated to achieve greater success (or avoid failure). He validated them by surveying 320 people including 75 successful multimillionaires and a billionaire and statistically analyzing the responses. Get ahead in business and life by not getting left behind. Identify and learn to manage or rid your ‘silent killers’. One hour of personal stories and data on how you can become more successful in business and life – practical insights. Ram Iyer is an MIT alum and President of the Business Thinking Institute in Princeton. He is in Dallas to keynote the Univision POSiBLE DFW conference at the Hilton Anatole on Saturday October 13th. Ram is a 4-time entrepreneur, former Fortune100 executive and former Silicon Valley VC. He had one of his companies do business in 16 countries and another fail dramatically, driving him into a financial hole. His insights are based on personal experience as well as conversations with experts and thought leaders. 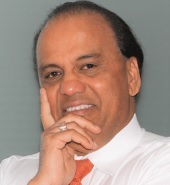 The website for the Business Thinking Institute is https://businessthinking.com and his speaker website is www.ramviyer.com.